One thing you must have, in order to be successful at managing your own vacation rental property, is your own website. But I was recently reminded that not all vacation rental owners with a website get a lot of value from it. In fact, there are many owners that pull in a good number of bookings from their paid listings, but have never achieved a booking through their own websites. If that describes your experience, you are squandering an opportunity for better returns. Since we first began renting, we've received 10.9% (by net income) of our bookings through our website. And this doesn't include repeat bookings, which is another 13.3%. This is a lot less than the 22.0% we received through VRBO, for example, but by investing time and money to promote our website, we are increasing that percentage year over year. And as the number of bookings garnered through our own site increases, we are less and less dependent on the major listing sites. As the industry continues to evolve, we feel a growing independence from paid listings is important to our future as vacation rental owners. There are a lot of ways to build a vacation rental website, and a lot of companies that can help you create a professional-looking site with high functionality. Some of our sponsors advertising to the right of this article, for example, offer such services. In this article, the focus will not be on the technicalities of building a vacation rental website, but about the things you can do to make it a more effective source of quality inquiries and bookings for you. No matter how great a domain name you pick, or how professional your website looks, if no-one visits it, your time and money is wasted. So the following techniques will help you attract more of those looking for a vacation rental like yours to you. Most of the following methods are free (except for the time you spend). The two that do cost some money are marked. A big factor that search engines consider when deciding what results to return to someone's search, is who else links to your content. So start by searching for other vacation rental and travel sites that will let you post a link to your website. Each time Google sees a link from some other site to yours, it adds to your website's credibility, and this improves its ranking. 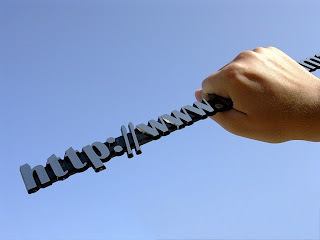 You can start by determining if any of your paid listings will let you include a link to your own website. A great way to find a vacation rental and travel site (with lots of content and good keywords relevant to your vacation rental) that is also willing to include a link back to your vacation rental website, is to create it yourself. Start your own blog about your vacation location. This may be more time consuming than some of us desire, but you really don't need to write long detailed articles. Just posting one article every week or two about an upcoming event or useful information about a local attraction or facility, is sufficient. You can include snapshots you've taken while attending a recurring event you'd like to recommend to your guests, such as an annual festival or local pastime, providing useful tips, as well as link to any website for the event. We'll often contact an event organizer to ask for additional information which might be useful to our guests, if we cannot find it on the event website. If a new attraction or restaurant opens, we've been known to try it out ourselves and post about that. And the subject matter you chose to cover doesn't all have to be glamorous or lyrical, but can be merely practical. Over the years, one of our postings that has proved very popular with the search engines details the parking and restroom facilities available at the beach near our vacation rental. When you include a place name in a search you make using Google, the results you get often include a map and a list of businesses or locations relevant to your search. You should get your vacation rental registered as a business on Google Maps so that it can show up in these searches. To do this, you need Google Places for Business. It's free to sign up, although there are optional premium features available as well, to further promote your business. Depending on how advanced the competition in your area is, you may or may not decide to opt for these. Google Adwords enables you to pay Google to place your vacation rental site's URL at the top of relevant search results. You design a simple text ad with a link to your website, and select the keywords for which you want it to show up. Although this is an expense to you, it's not a large one and will not take very much money to try it out. You are only charged by Google when a searcher actually clicks your ad; and you can even set a daily budget as low $1 so that you will not be surprised with a large bill. There are lots of ways you can customize to whom your ad is shown, and how it appears. But it is surprisingly easy to get just a basic ad started. This is an opportunity to experiment. Don't agonize over the perfect wording for your ad. Just try something out, and perhaps make a copy with a minor tweak so you can compare their performance. Adwords will show you which of your attempts gets more clicks. After a time, you can make a copy of the winner and tweak it again, and repeat your experiment. Well done! You are doing A/B testing. A newsletter is great way to stay in touch with past guests, and with people who visit your website or blog, but aren't ready to book yet. If you're already writing a blog, then it's really not a lot of extra work to pull some of those posts into a newsletter. You can include a calendar of upcoming events, a few photos you've taken - occasionally highlight a recent improvement you've added to your property's amenities or a special offer or discount - and you're done. Although you can maintain a simple distribution list for your newsletter in any email address book, I recommend using an email marketing solution provider from the very start. There are several you can use at no cost (we use MailChimp); and the guidelines they provide help you avoid being blacklisted as a spammer. These services also often furnish several attractive templates, which will make your newsletter more professional, as well as lots of other useful features. Creating a Facebook page for your vacation rental provides a place where you and past guests can share photos and stories. It is kept separate from your personal Facebook timeline, and you can assign it a custom URL that reflects your brand. There's no cost; you just start at Create a Page. We placed our property under "Company, Organization or Institution" and then chose the category "Travel/Leisure." These things are easy to change at a later time, if you wish. If you are already writing a blog, a Facebook page doesn't call for a lot of extra effort, since you can just share your blog postings on your page. If you have started a newsletter, share a link to it as well. And while you're enjoying a stay at your vacation rental, take a photo of something interesting while there and share that. Whenever you decide to run a promotion or have a last-minute opening in your calendar to fill, then share that. Keeping your Facebook page fresh in this way may take about 10 minutes a day total. Facebook Ads allow you to get a picture, a link, and some text to show up under the "Sponsored" section of the sidebar that appears to everyone using Facebook. Once you have created a Facebook Page for your vacation rental, the simplest way to get your Ads started is to click the "Build your Audience" button visible to you when you visit your own Facebook Page. You can set a daily budget, and specify a geographic region: target a whole country, or - if you have good data on where most of your past bookings came from - narrow it down by state or province. And now you have a Facebook Ad. If you prefer to send people directly to your website, instead of a Facebook Page - or you wish to further narrow down your audience with other demographic factors, like age or gender, then begin instead at Creating an Ad. As was possible with the "Build your Audience," you can set a daily budget and target a geography; but there are also many more features you can control. Different people prefer different social networks. By maintaining a presence on as many of these as possible, you widen your reach. Fortunately, once you have your vacation rental visible through one of these networks, it's very little extra work to also keep it active on another. For example, once you set up a Facebook page, then it's easy to set up a Twitter account that automatically tweets all your Facebook posts. And vice-versa. If you don't want to have to regularly check your twitter account, you can set up your account to notify you via email whenever someone mentions you or sends you a direct message on Twitter. However, taking just 10 minutes a day to interact with others on Twitter will lead to greater gains in the future. There are significant pros and cons involved in promoting your vacation rental on Craigslist. But it is a free way to attract more traffic to your website; and can be very lucrative, so long as you educate yourself to recognize scams and protect yourself from bad actors. If you have identified a large metropolitan area from which a lot of your guests come, then the few minutes extra work to keep a current posting on Craigslist or other similar classified ads sites may be well worth the effort. You're going to find that the average quality of the inquiries through Craigslist is often significantly lower than what comes in from major listing sites. But in many areas, this is also a popular way that legitimate customers find a vacation rental, particularly when they are searching for last minute deal. Google Analytics isn't intended to promote your website directly, but it is arguably the most important tool listed here. When you decide to invest the time to set up a website, and follow any of the above practices to promote it, you must measure its performance. Unless you measure this, you cannot know whether the time you spend doing any of the above things is having an effect. Google Analytics can show you how many visitors your website gets, how long they spend on your site, and what pages they look at. You can see what city your visitors live in, and from which sites they clicked through to your website. All of this data is provided to you for free. In fact, if you have your own vacation rental website and are not already using Google Analytics, you should stop reading this article and go set it up right now. What do you think of these approaches? What others can you recommend? As always, your comments are appreciated. Welcome New Readers! Take a look around. A couple of good places to start are the About Page, and the Getting Started page. If you want to read every article in order, then start at the Getting Started page and click the "Newer Post" link at the bottom. You can also see an alphabetical list of all the posts on the Archive page. Stay in Touch: Subscribe to posts by e-mail, RSS Feed, or follow Rent By Owner Guide on Twitter. Get Rent By Owner Guide automatically by email. How to Advertise your Vacation Rental property? What Supplies should I stock in my Vacation Rental? Should I Rent My Vacation Home?